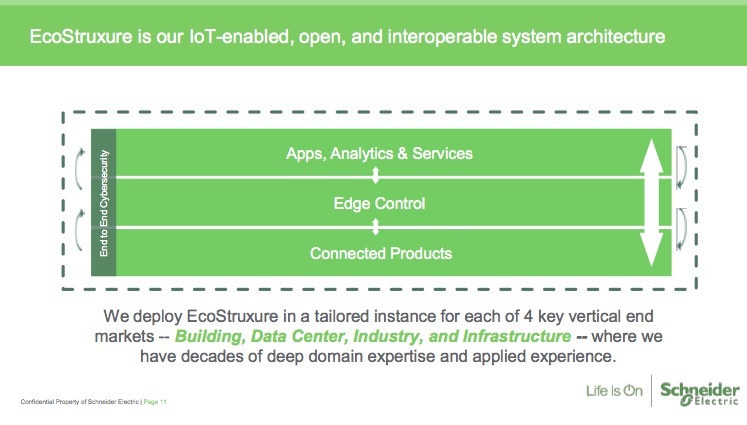 SO…EcoStruxure is Schneider Electric’s name for our IoT-enabled, open, and interoperable system architecture. A system architecture is a conceptual model that defines the structure and behaviour of a system. In the case of EcoStruxure, the system is comprised of 3 levels: connected products, edge control software, and cloud-based apps/analytics/services. It takes great advantage of IoT, cloud, and Big Data analytics technologies to bring unprecedented insight into data center operations. The EcoStruxure architecture maximizes the value of data to deliver improved safety, reliability, efficiency, and sustainability for our customers and their data centers. It sounds wonderful, but, what does all that mean in reality? How is that value achieved through the architecture? And what the heck is “edge control software”?? There’s been a lot of press coverage and promotion over our exciting new approach to solving customer problems, but there’s a need to provide more detail and clarity. That’s where the Science Center comes in. I work in the Data Center Science Center as a Sr. Research Analyst. Our unique team is part of the Office of the CTO. We’re tasked with researching and analyzing technologies to develop best practices on how to plan, design, build and operate data centers. We avoid talking about products and focus instead on the underlying technologies and systems and how best to apply them. Using the scientific method and quantitative analysis we strive to solve real customer challenges or help them make better decisions more quickly. We make all our research available to the public through our white papers, TradeOff Tools, and Reference Designs. Internally, we are often called on to independently evaluate new product ideas and competing designs while measuring their impact on the overall system. We act as sort of a neutral party to help decide the best path forward between competing engineering teams. It was in this vein that we became involved with EcoStruxure for Data Centers. Part of this work involved our team writing an FAQ that clearly defined what it is, what it isn’t, how it helps customers, and so on. Taking a complex topic and making it simple to understand is a strength of our team. I encourage you to check it out. 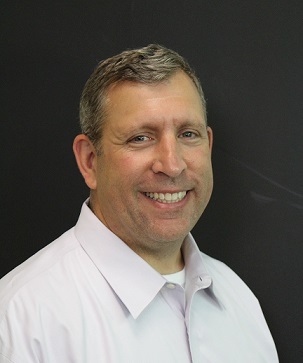 I firmly believe that the most effective data center operations and maintenance programs in the future will be those that embrace or better utilize the cloud, big data analytics, and digital services. It just makes sense to me. Does it for you, too? Simply explained and I will surely share this blog link to other colleagues, thanks for penning it!